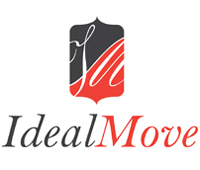 “Ideal Move have been fantastic in sourcing new properties to buy, finding high quality tenants for your existing properties and provide an excellent management service, with a hands on approach. Would definitely recommend Ideal Move to anyone looking to buy or need a managing agent." "I have been renting my flats in the Dalston area through Ideal Move since 2012 and I have always found Michael and his team to be friendly, professional and accommodating. As I live outside the London area it is a huge reassurance to know they are looking out for me and always a friendly voice on the end of the phone. Thank you Ideal Move!" “Whilst renting with Ideal Move for the past 10 years I am definitely happy with the professional service, advice and always able to help attitude. The team are great, properties are rented immediately and always to good tenants. "A reliable and professional management team that repeatedly go beyond the call of duty to deliver a bespoke service. They are highly experienced and in their areas of expertise offer an efficient and more cost effective service than some of the bigger brand names!"